ATLANTA (Legal Newsline) - A Georgia woman is suing a mortgage company, alleging it unlawfully collects certain interest. Sarah Felix of Winder, Georgia, individually and for all others similarly situated, filed a class action lawsuit March 31 in U.S. District Court for the Northern District of Georgia Atlanta Division against SunTrust Mortgage Inc., alleging breach of contract and Georgia usury. The suit alleges SunTrust Mortgage systematically collects "post-payment" interest on loans insured by the Federal Housing Administration (FHA) without first complying with the uniform provisions of the promissory notes and the FHA regulations that govern those loans. Post-payment interest is interest collected after the borrower has paid the full unpaid principal of the loan, according to the suit. FHA provisions provide the lender may collect post-payment interest if the borrower makes payment of the full unpaid principal on a day other than the first of the month, given that the lender must provide the borrower with a form approved by the FHA. SunTrust, the lawsuit states, does not use the FHA-approved form, but instead uses its own unauthorized form that does not fairly disclose the terms under which it can collect post-payment interest and does not properly explain how borrowers can avoid such charges. 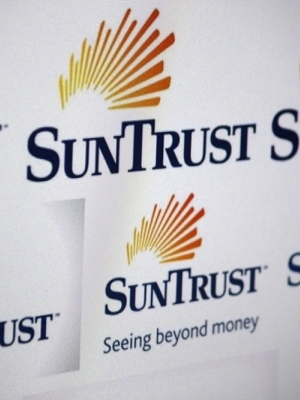 The suit alleges SunTrust has unlawfully collected tens of millions of dollars in post-payment interest. Felix and others in the class seek a jury trial, compensatory and statutory damages, interests, attorney fees, and other costs of the suit. They are represented by attorneys Steven J. Rosenwasser and Naveen Ramachandrappa of Bondurant Mixson & Elmore in Atlanta, Adam Hoipkemier and Matthew Wetherington of The Werner Law Firm in Atlanta, and Jeffrey W. DeLoach and Kevin E. Epps of Fortson Bentley and Griffin in Athens, Georgia.